The Mixing Bowl Restaurant is a cozy little place serving breakfast and lunch in Sussex County, NJ. Go there on a Saturday or Sunday morning and there is sure to be a wait, heck, go there on a Tuesday morning and there is sure to be a wait. But let me tell you, the wait is worth it! 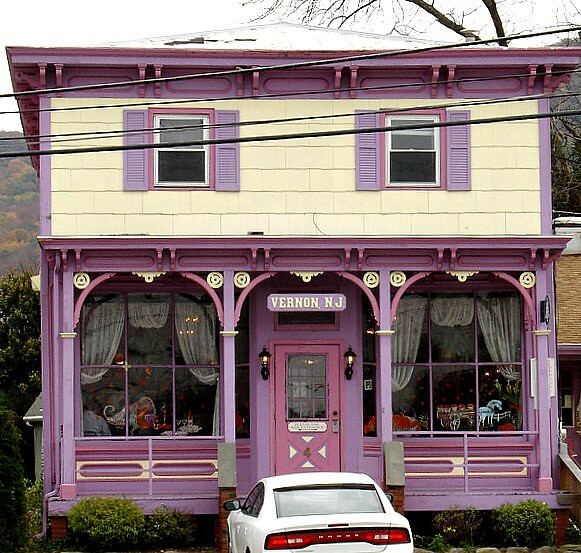 The building is adorable, reminiscent of the doll houses of many little girls’ memories. Originally built in 1885 as a general store it was moved to its current location from the corner of Routes 94 and 515 in 1966. My husband and I (and now our baby girl) happen to be regulars there and often order the same thing with no menu required. However, we have sampled quite a few menu items and even some items not on the menu and everything we’ve had is delicious. The staff is friendly, and the owner himself is often in the kitchen preparing the meals alongside the cook, who has worked here for more then ten years. On a recent visit to the Mixing Bowl Restaurant, my husband ordered Eggs Benedict with extra Hollandaise sauce. Although this item is not on the menu, it is often a daily special, and if not, they will be happy to accommodate your order. He also ordered a side of sausage links. The Hollandaise sauce was smooth and creamy, rich and buttery, just as you would want it to be. The egg poached to perfection so when he cut into the yolk it opened up and spread its yumminess all over the plate. Yumminess is not a word you say? Taste the food at the Mixing Bowl Restaurant and you’ll let me have this one. I ordered the French Toast with Bacon. 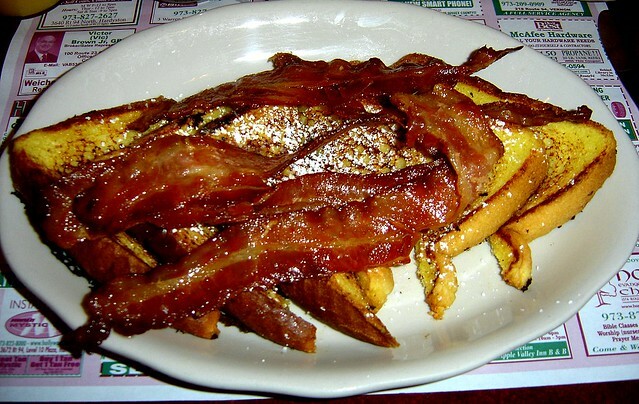 The Bacon was crispy to perfection and the French Toast was scrumptious and sweet, just delectable. Other delicious menu items include Omelet’s, the Tuna Melt, Philly Cheese Steaks, Club Sandwiches and more. Take a trip here for breakfast or lunch and you are sure to enjoy every bite!